We Offer Same Day Service, We Finish in a Timely Manner, and Give You a Written Guarantee! Get Your Garage Door Estimate Today! Should I Perform Repairs Now? It’s important to repair & maintenance your garage door. Bi-annual lubrication is recommended but it should also be inspected by a professional once a year. 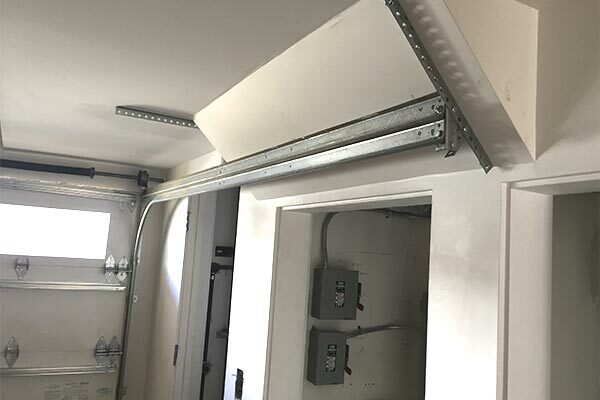 The door balance should be checked as well as the safety reverse of the garage door opener, your garage door could be dangerous if these are neglected. 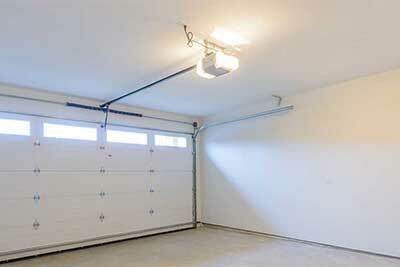 Your garage door parts will wear out, It makes sense to invest in garage door repair as opposed to replacing it. If worn parts are not replaced prior to failure much larger problems can occur, such as, a door coming off track and/or cables coming loose. While often times these problems can be repaired, some of the time the door is too heavily damaged and cannot be saved! Also, broken springs are a common issue, the torsion spring system is a counter-balance system, so it is critical that the proper springs be installed. 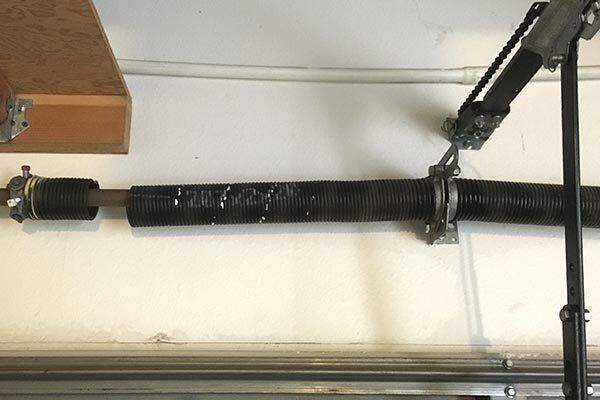 We ALWAYS demonstrate the proper balance to our customer after completing a torsion spring replacement, if the door is not balanced, premature wear of both the garage door and garage door opener will result. 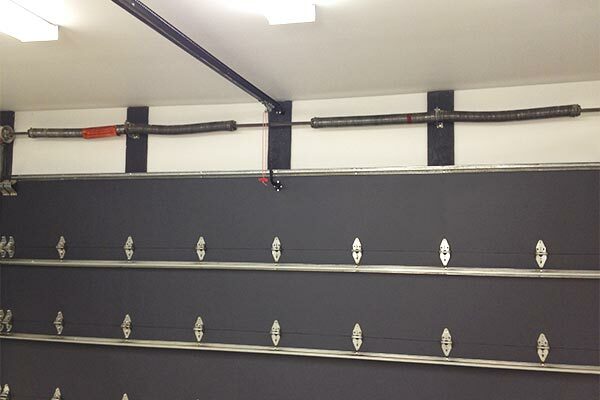 If we don’t have the proper springs on the truck at the time of service, we will get the proper springs to ensure the garage door is fixed correctly, and at no additional cost. On occasion, we do run into garage doors that are larger and/or heavier than the traditional setup. In this case, we measure for the proper springs and return at a later date to complete the garage door repair. Some companies will install what they have on the truck & the homeowner doesn’t even know it. Our PROMISE is that this will NEVER happen when you hire us to replace your springs. Are Your Cables Coming Loose? Another common repair is known as a “spun cable”. This is when the lift cables come loose causing uneven tension on the door which causes it to become crooked and stuck in the tracks, often times this situation looks worse than it is. It’s best to leave the door alone and call us immediately, and ost of the time we can get the door back on track & operating safely. Worn rollers can also cause a door to come off track, replacing the rollers before failure is almost always less expensive than the cost of repairing a door that has come off track. Worn or frayed cables should be replaced as soon as they are noticed, if a cable breaks it will cause the door to become crooked and stuck in the tracks. It’s cost effective to replace them before they break because that repair is not as labor-intensive as having the door stuck on the tracks. Do I Have to Buy a New Garage Opener, or Can it Be Repaired? Very often your garage door opener can be repaired. Repairing your existing motor may be a less expensive option than replacing the unit, this is why we often recommend repair over a replacement. We carry a large inventory of parts on our trucks, so we can typically repair any problem on our first visit. 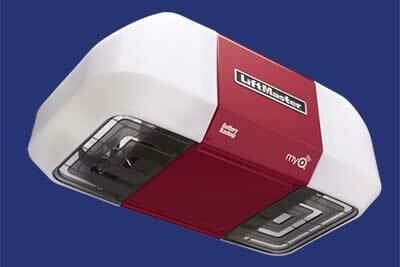 Also, Federal Regulations (UL 325) were updated in 1993 which mandated infrared safety beams on all openers. So, If your unit was manufactured prior to 1993, it is unlikely your home would pass an inspection, we would recommend a replacement in this situation. If your garage opener brand has been discontinued then most likely your parts will be unavailable, in this case the only option is to replace the opener. Garage door openers are changing rapidly to include features that make your life easier and more secure. We will inform you about the newest garage door openers and accessories available! LiftMaster, Chamberlain, Genie, Marantec, Sears, Overhead Door, Raynor, Stanley, Craftsman, and more!